An astronomer is a scientist who looks at stars, planets, moons, comets and galaxies, as well as many other celestial objects. Their work may include: planetary science, solar astronomy, the origin or evolution of stars, or the formation of galaxies. After a long night at the observatory, rest easy surrounded by such heavenly objects within! Gaze upon an unique display of modern designer lighting in this 2 bedroom loft. 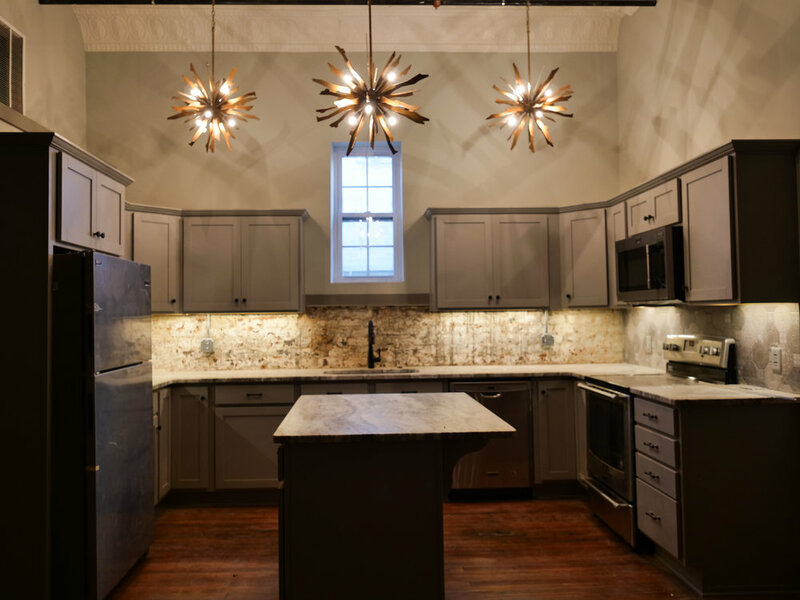 Original hardwood flooring and original ornate tin ceilings are throughout this 2 level loft. The modern kitchen is comprised of designer cabinetry, granite counter tops, and sleek stainless appliances including a washer and dryer.